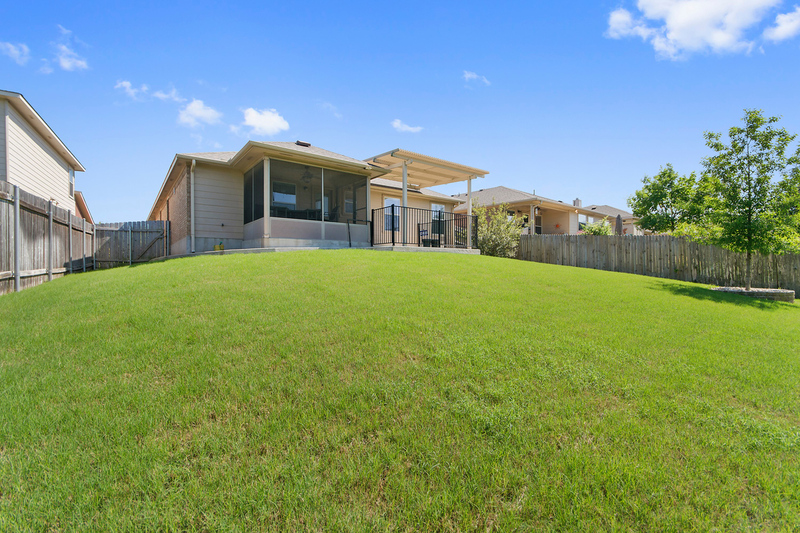 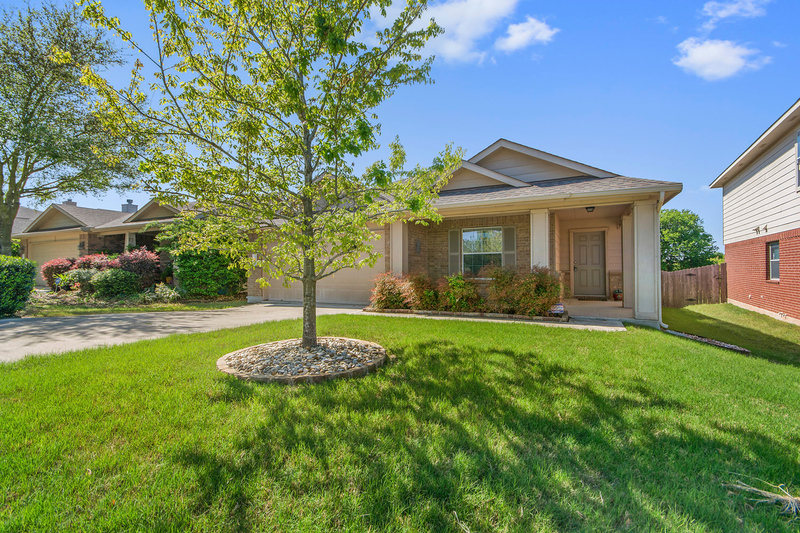 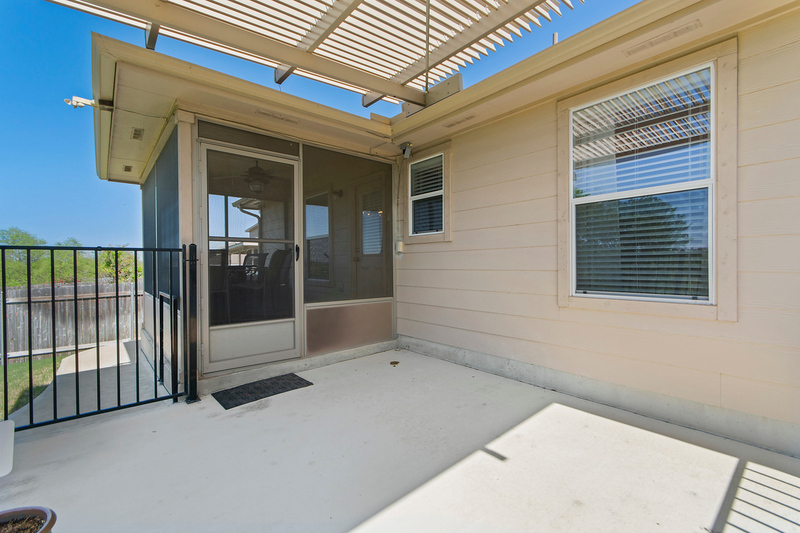 This 3 bedroom, 2 bath, 1 Story home at 11732 Gaelic Drive in Stirling Bridge is a RARE FIND in Austin, TX.... it has a fantastic floor plan, a huge, kitchen, a gorgeous back yard with lovely views backing to a greenbelt area. 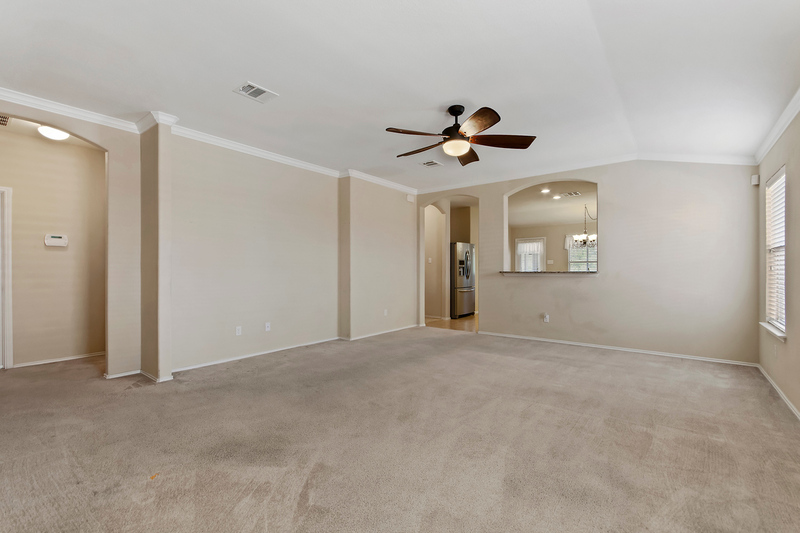 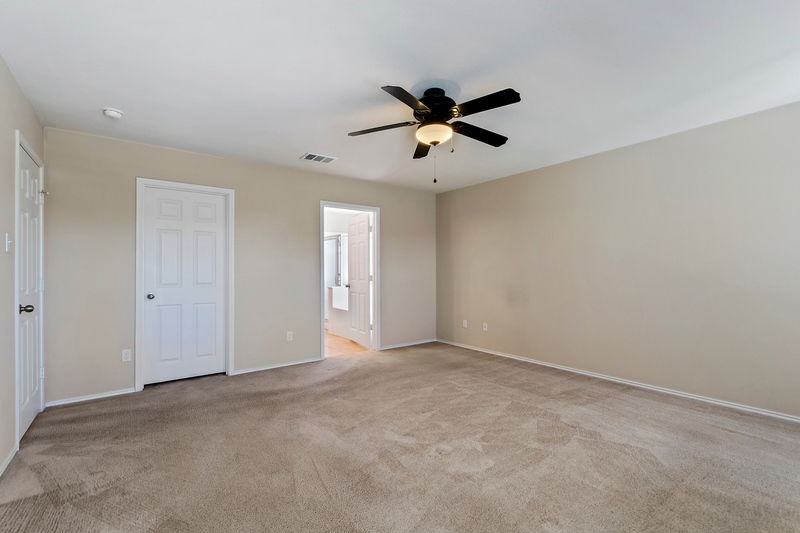 The family room at 11732 Gaelic Drive extra large with plenty of room for a game table or as much furniture as you want! 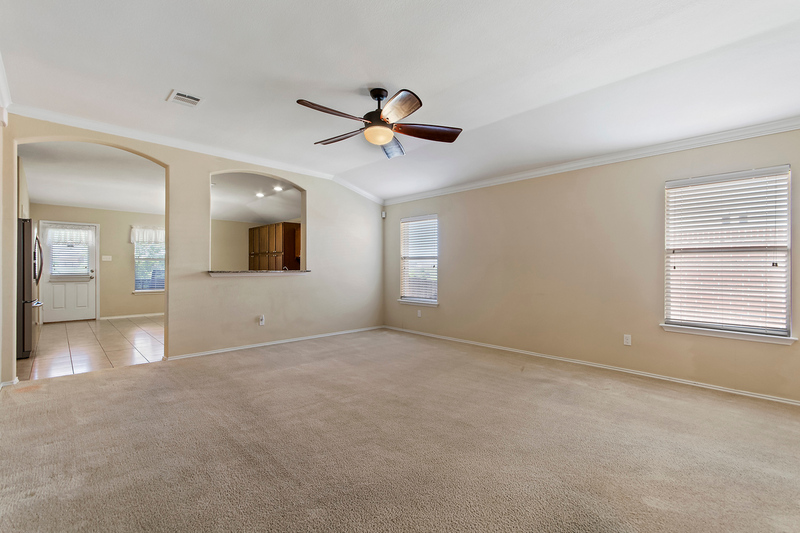 This family room is also open to that fantastic kitchen for a wonderful, open feel. 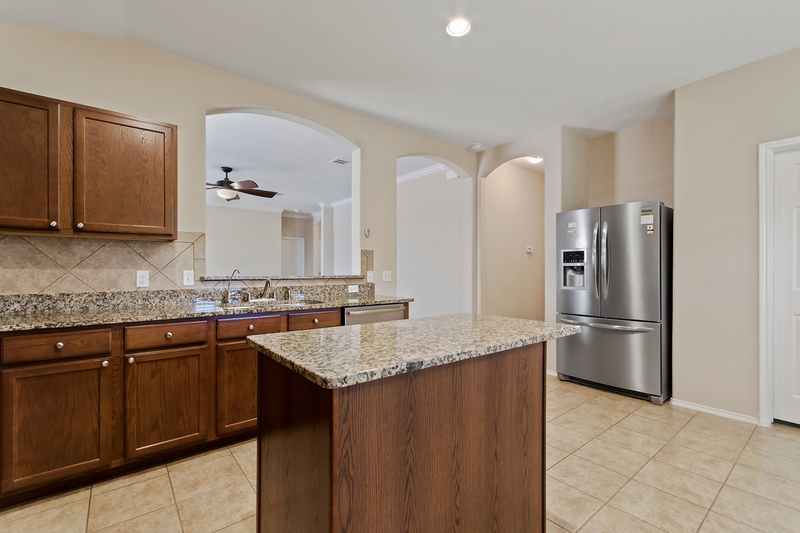 Now let's talk about that kitchen at 11732 Gaelic Drive in Austin, TX ... 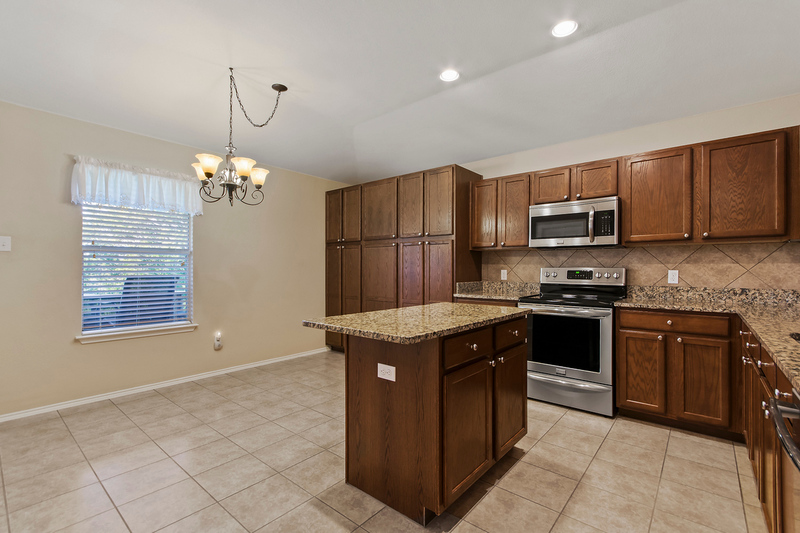 It is not "just" a kitchen... it offers open, bright, cheerful space and is one of the biggest kitchens you will see in your home search. 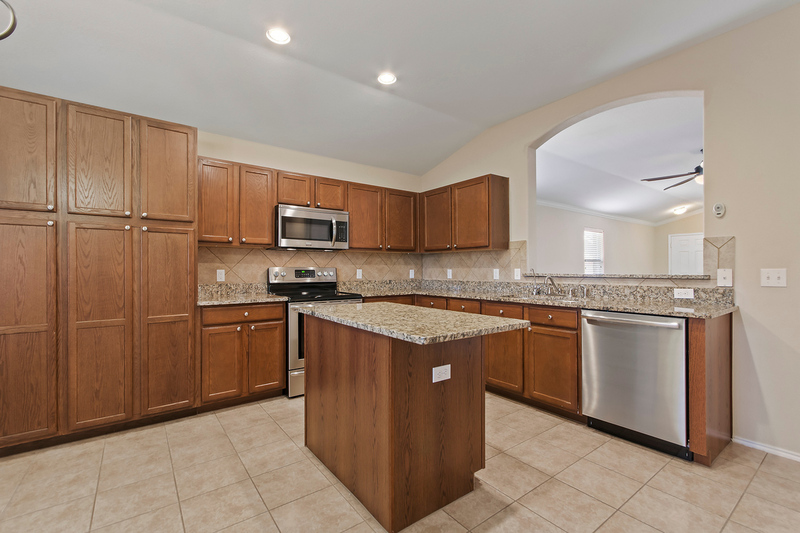 The kitchen is where everyone will hang out when you have guests, and this one is perfect for that! 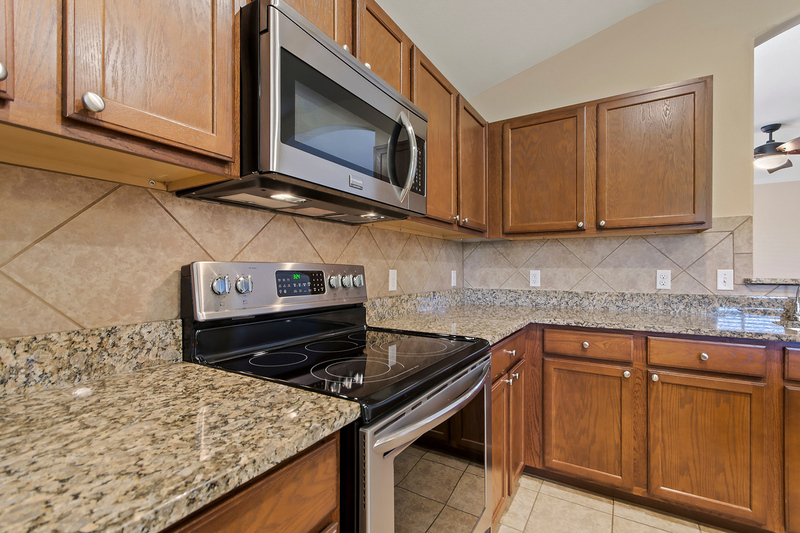 The breakfast area is in the kitchen, and it is bright and cheerful ... a great place to start the day! 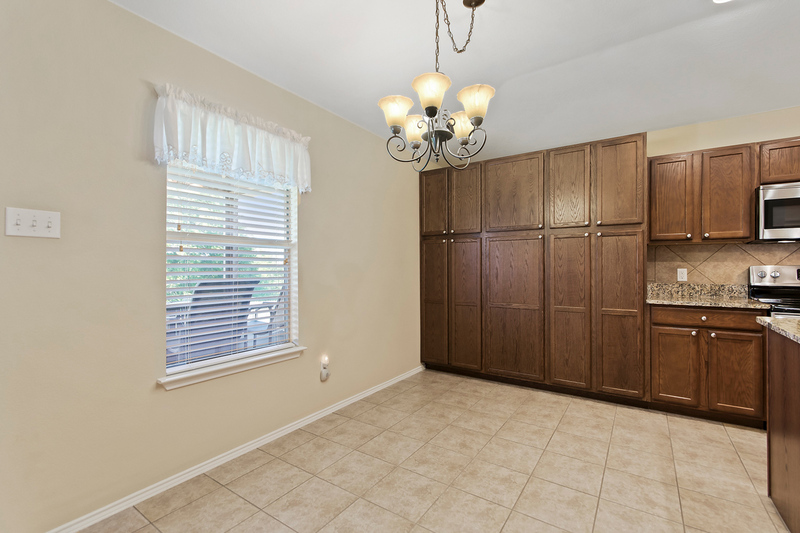 The breakfast bar is perfect for guest to pull up a stool and visit or to feed the kids and their friends. 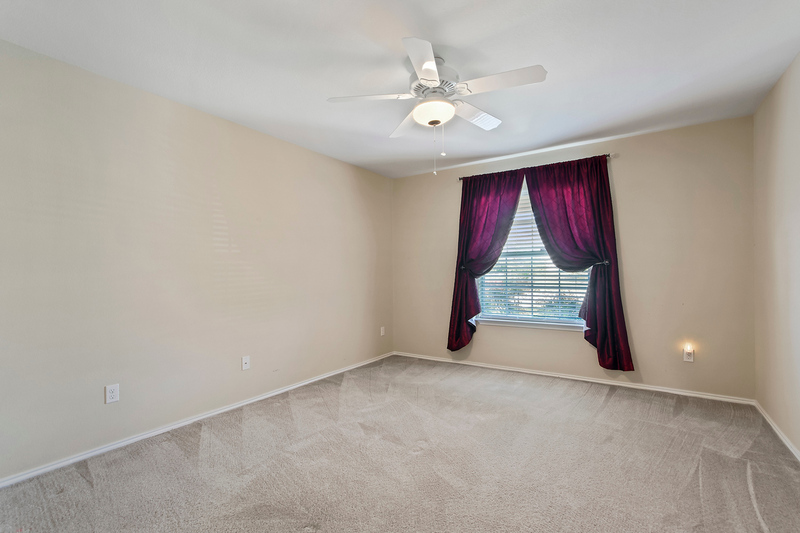 The master suite at 11732 Gaelic Drive is private and luxurious and is located away from the secondary bedrooms. 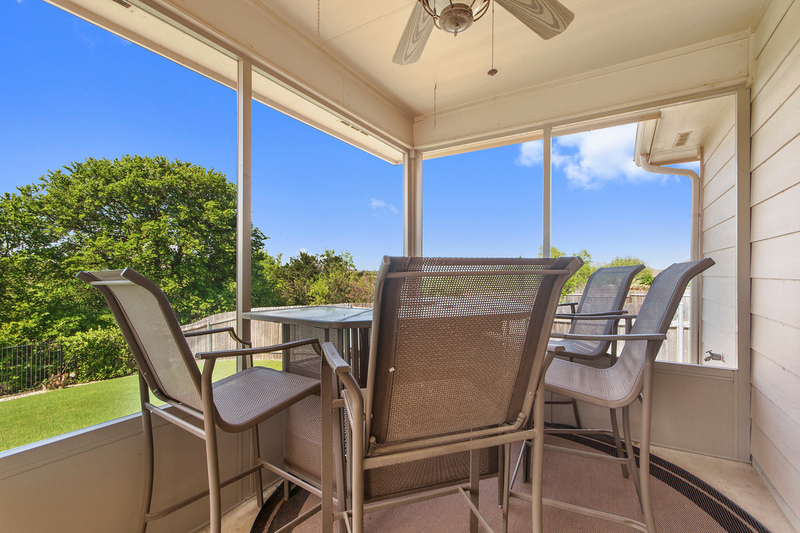 The windows and the light and the views across the back yard make it a special place to retreat. 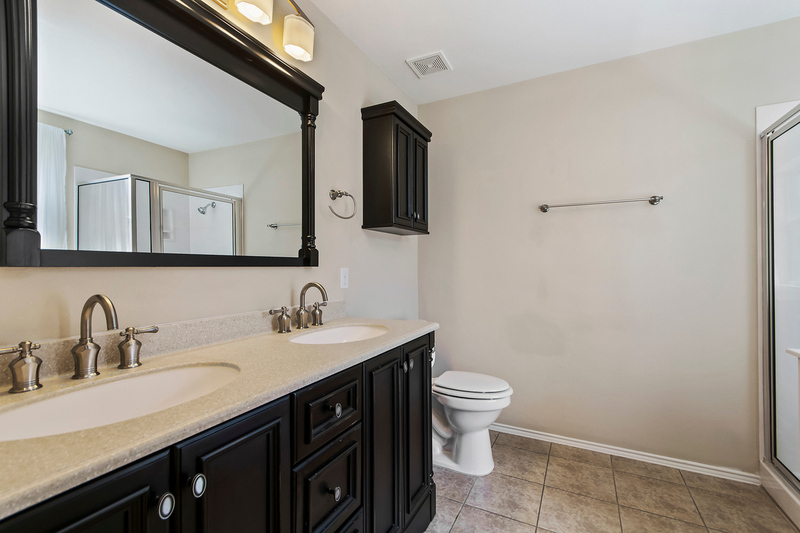 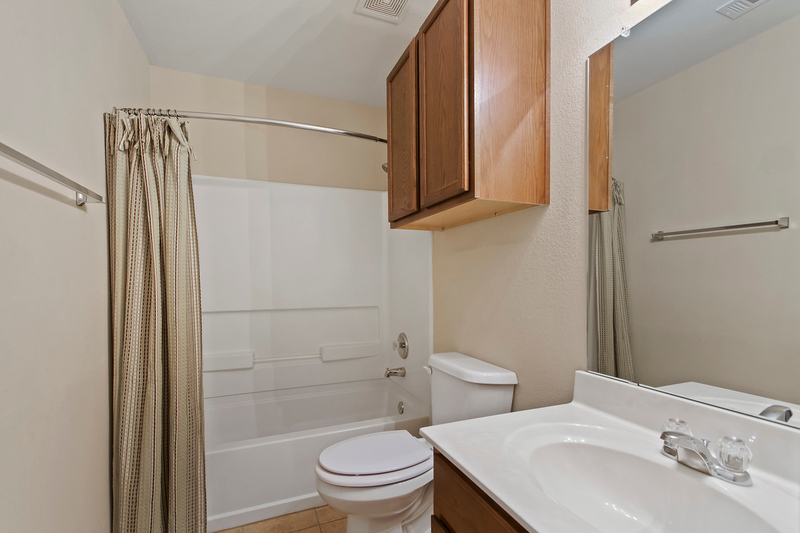 The master bath is luxurious, has a double vanity, an oversized tub, spacious walk-in shower and 2 large walk-in closets. 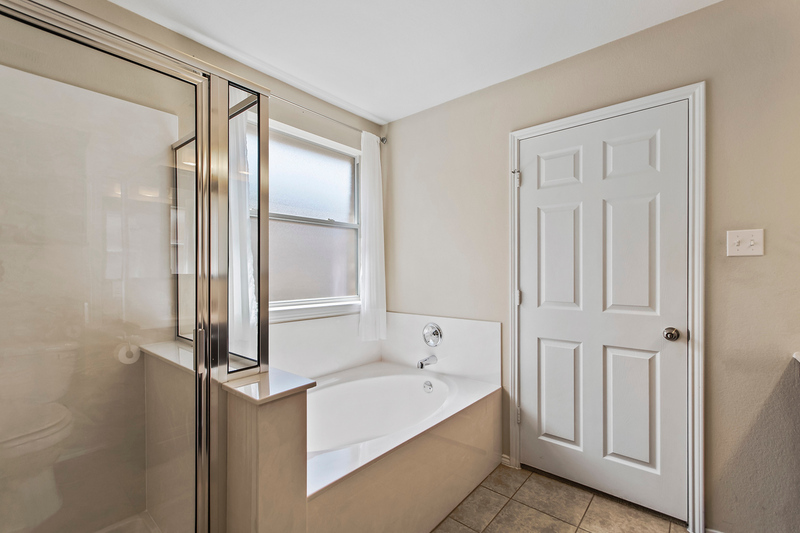 Beautiful floors through the master bath is another big plus! 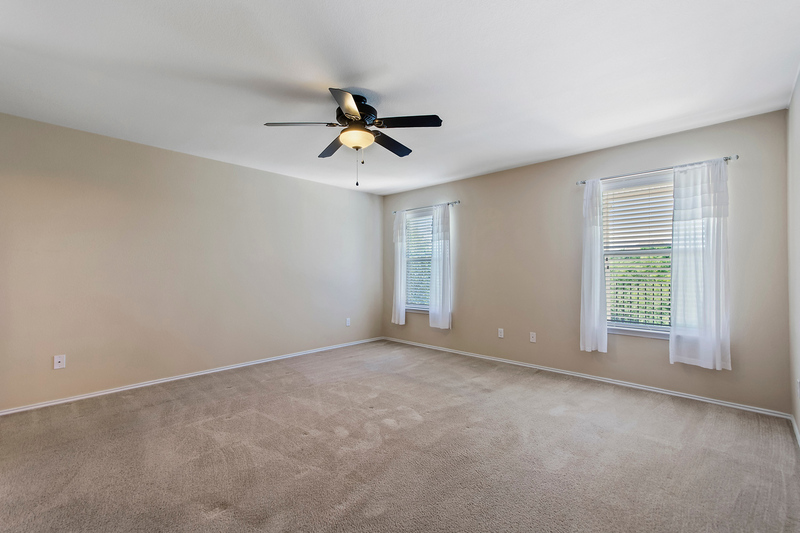 There are 2 spacious secondary bedrooms, one of which has a window seat and 2 closets, and would make a great office or guest room. 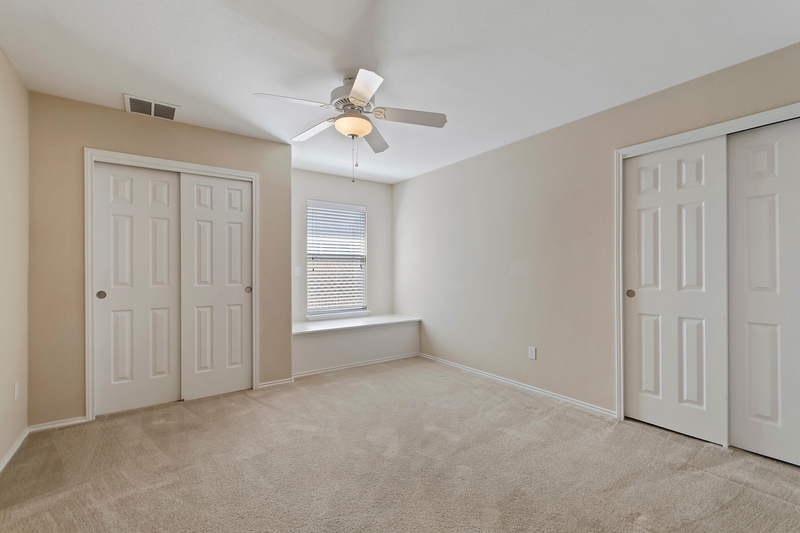 Each bedroom has great closets! 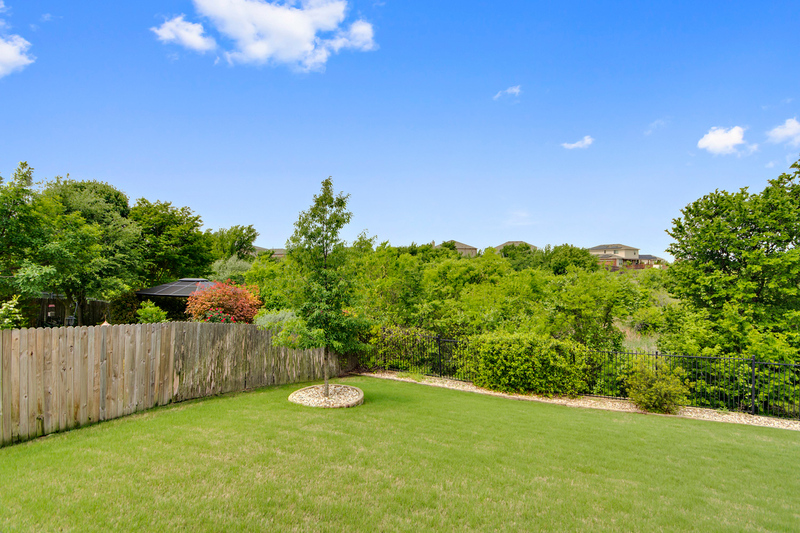 Now let's see the yard and at 11732 Gaelic Drive... 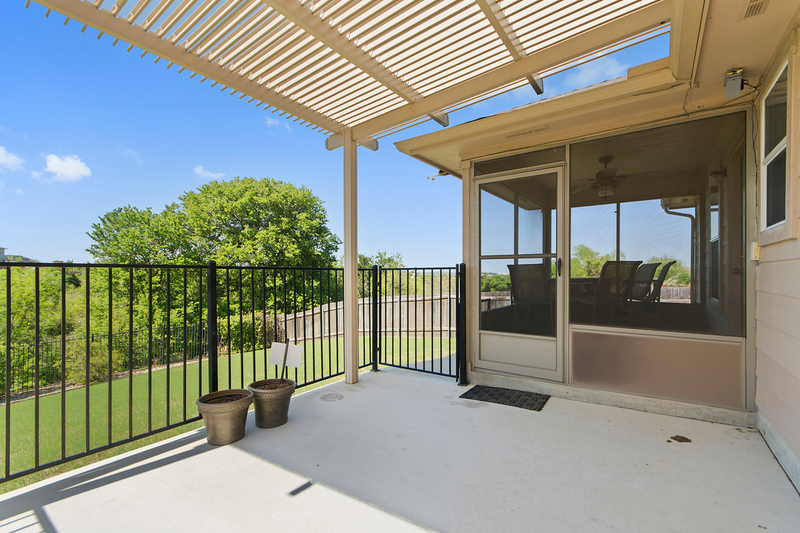 The well-planned covered and extended patio create a wonderful place to entertain. 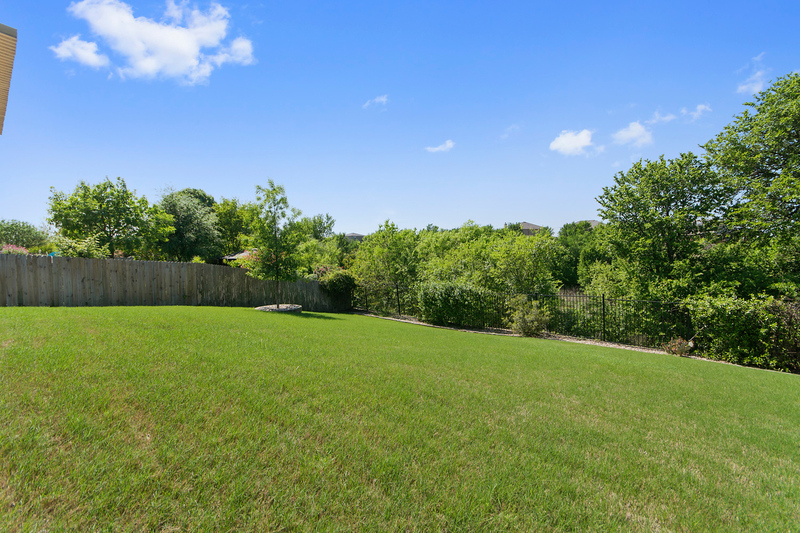 The oversized lot makes this a rare find in Austin, TX! 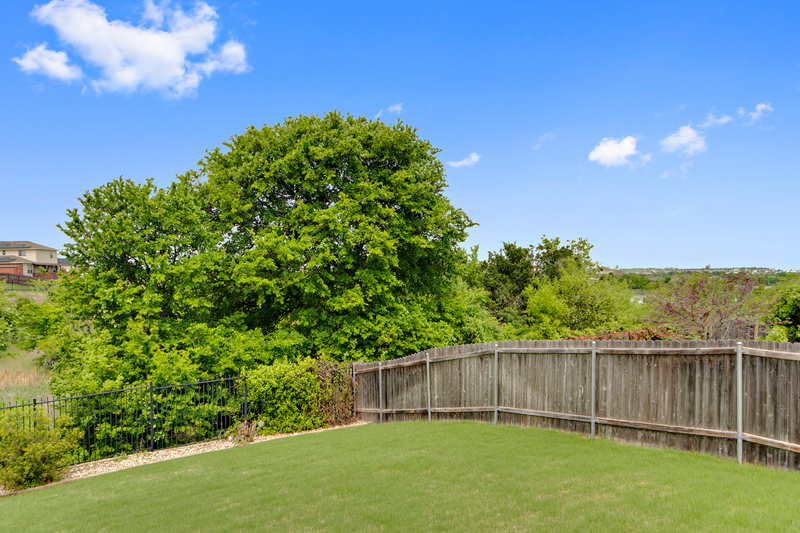 There is additional yard space for kids and dogs to run and play, and you have a great storage space too... look closely, you have wonderful views behind the house, even a view of the Lake! 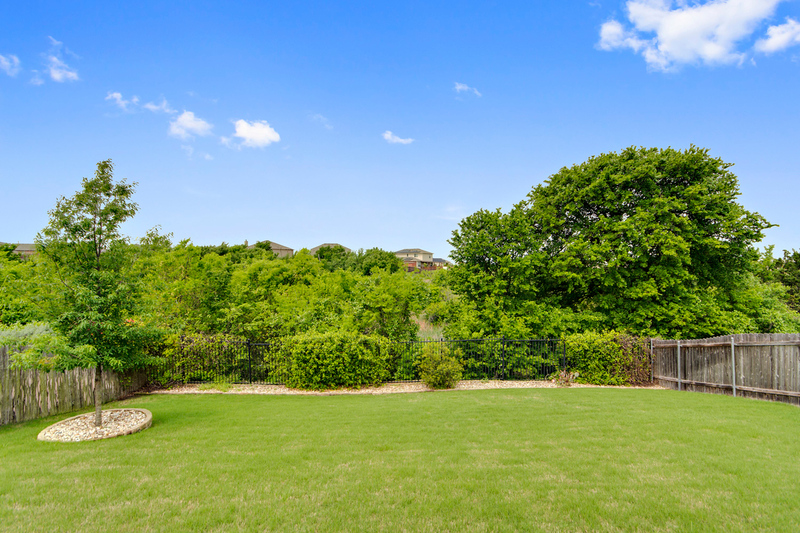 Finally, you just cannot beat the location... Stirling Bridge is located just minutes from I-35 and SH-130 for an easy drive to Austin! 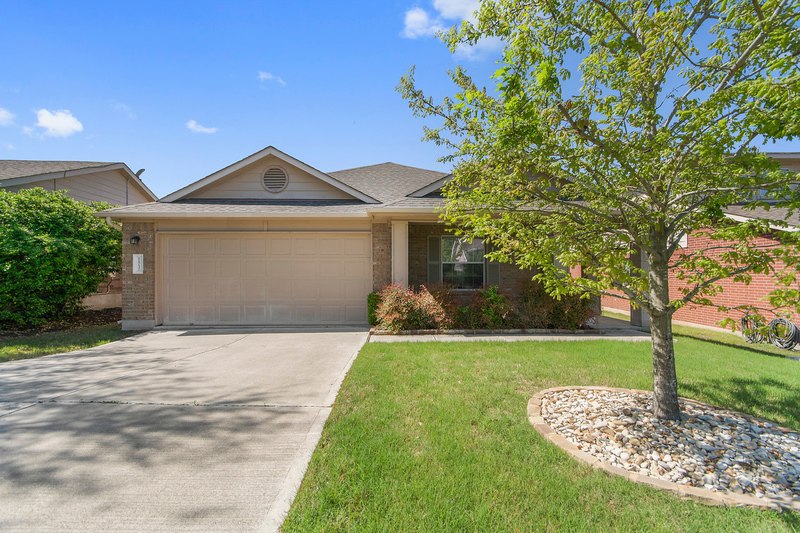 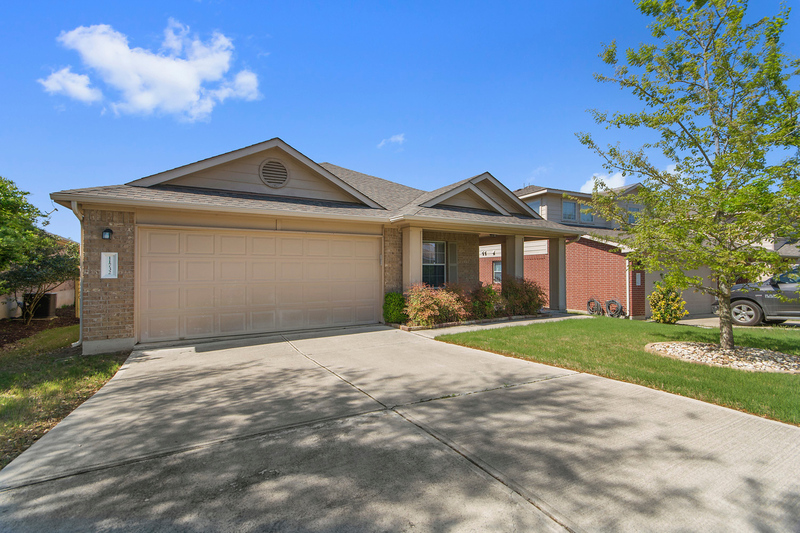 The home for sale at 11732 Gaelic Drive has a gorgeous yard ... the price is $254,500 ... if you would like to know more right now, just contact me.